The cast of the still untitled BOND 25 were revealed today at a live media event held at Ian Fleming's home ‘Goldeneye’ in Jamaica. Rami Malek was confirmed as the main villain, although his character is as yet unnamed. Ana de Armas, Dali Benssalah, David Dencik, Lashana Lynch, Billy Magnussen and have been cast in unspecified roles. In a break from the traditional press conference, the casting was announced via a live stream from Jamaica as principal photography on the film begins. The title of the film has still not been revealed, but the event confirmed that the film will be written by Neal Purvis, Robert Wade, Scott Z. Burns and Phoebe Waller-Bridge. Ben Whishaw and Ralph Fiennes will be returning as ‘Q’ and ‘M’ respectively. Naomie Harris will play Eve Moneypenny while Lea Seydoux will reprise her role as Dr Madeline Swann from Spectre (2015). Actor Jeffrey Wright will also return as Felix Leiter for the first time since Quantum of Solace (2008), making him the first actor to portray the character three times. Linus Sandgren is the director of photography and the film will be edited by Elliot Graham. ABOVE: The Iceman Cometh? Filming finally begins on BOND 25 in Norway with a mysterious masked gunman pursuing a young Madeleine Swann across a frozen lake. After months of press speculation and rumours surrounding the production of the as yet untitled 25th James Bond film, it would appear that filming has finally begun in Nittedal, 20-miles north of Oslo in Norway. The scene involved a masked gunman chasing a blonde young girl across an ice lake. The situation described in the shooting script as: “A child shoots an intruder. She is chased by a 2nd intruder and runs onto a frozen lake.” The scenes very likely forms part of a flashback for Madeleine Swann's character, who described this story to Bond as they make their way to Blofeld's desert hideout by train in Spectre (2015). 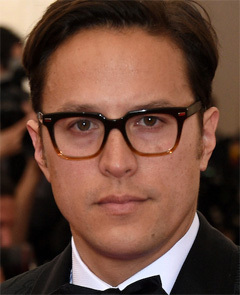 Although director Cary Fukunaga nor any principal players were present at the location, the action is the first concrete evidence that filming on BOND 25 has begun in earnest. With major casting still to be announced one can only speculate as to who the masked gunman is, although the girl clearly represents a young Madeleine Swann who will be played in BOND 25 by Léa Seydoux. Michael G. Wilson, Barbara Broccoli and Daniel Craig announced today that BOND 25 will begin filming at Pinewood Studios on 4 March 2019 under the helm of director, Cary Joji Fukunaga with a worldwide release date of 14 February 2020. “We are delighted to be working with Cary. His versatility and innovation make him an excellent choice for our next James Bond adventure,” said Michael G. Wilson and Barbara Broccoli. Michael G. Wilson, Barbara Broccoli and Daniel Craig today announced that due to creative differences Danny Boyle has decided to no longer direct BOND 25. ABOVE: (top) Bond 25 Director Danny Boyle (centre) Screenwriter John Hodge (bottom) Daniel Craig as James Bond with Her Majesty The Queen in the short film Happy and Glorious directed by Danny Boyle for the 2012 London Olympics opening ceremony. Production on BOND 25 will begin in December with Danny Boyle directing Daniel Craig’s 5th outing as Bond. 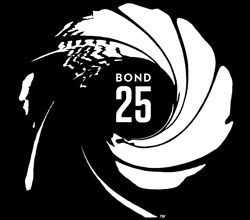 EON Productions and Metro Goldwyn Mayer Studios (MGM) have reached an agreement with Universal Pictures to partner on the worldwide release of the 25th James Bond film. Daniel Craig returns as 007 and Academy Award-winning director Danny Boyle (Slumdog Millionaire, Steve Jobs) will direct from an original screenplay by Academy Award nominee John Hodge (Trainspotting) with production set to begin on 3 December 2018. Metro Goldwyn Mayer Pictures will release the film theatrically in the US on 8 November 2019 through its new joint venture for domestic theatrical distribution with Annapurna Pictures, and Universal Pictures will release internationally commencing with the traditional earlier release in the UK on 25 October 2019.